Sports events are always welcome and appreciated in San Remo: just think of the Milano-San Remo cycling race, the spring classic that made the history of cycling, or the Rally that is valid for the world championship. The sports facilities of San Remo are numerous and well-equipped, but above all, sports fans will enjoy our wonderful climate that allows you to practice outdoors throughout the year. Tennis players can use the tennis courts at either of San Remo’s two prestigious clubs, the Matuzia and the Solaro, while equestrian fans can take advantage of the beautiful equestrian sports facilities of Solaro, with attached stables and a riding academy. 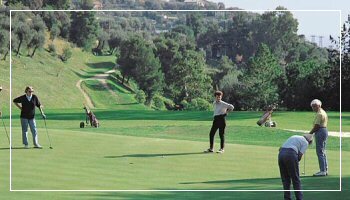 San Remo’s golf club “Golf degli Ulivi” (Golf of the Olives) was opened in 1931 and offers an 18-hole golf course where the sport can be played all year round. The greens at Golf of the Olives are suitable for both beginners and experts. It goes without mention that there are numerous opportunities for nautical spots at the sea: enthusiasts can enjoy windsurfing along the coast or surfing the waves that crash along Cape Verde east of town. Sailing or motorboating is a lovely experience and can be enjoyed all along the coast, especially in Ventimiglia, San Remo, Bordighera, Santo Stefano al Mare, Imperia, Diano Marina, and San Bartolomeo al Mare. Those interested in sailing have their choice of two beautiful harbours- Porto Vecchio, home of the Yacht Club, and Portosole, where you will find 890 boats anchored. It is definitely the feather in San Remo’s cap as far as pleasure boating is concerned. Then, there is also canoeing and especially diving, where you can discover the marvellous seabed full of life. Less obvious are the more mountainous and hinterland sports attractions in the area, such as hiking or mountain biking. You can discover the splendid landscape surrounding San Remo by bicycle with itineraries to suit your needs that take you inland and along the coast. Particularly, the route along the Maritime Alps, encircling the city, can bring incomparable excitement. There are also plenty of opportunities for the more adventurous sports enthusiast, such as rock climbing at Verdeggia, paragliding or hang-gliding at Mendatica, and bungee jumping from the Ponte di Loreto (i.e., Loreto Bridge – next to Triora). Finally, you can also play softball and baseball.